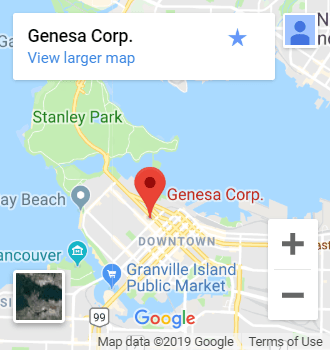 Resources | Genesa CPA Corp.
Understanding the ins and outs of financial planning and management is what we do best at Genesa CPA. When it comes to providing comprehensive financial services, we believe that it is important for our clients to gain a basic understanding of how some of our common accounting services work. Below you’ll find a list of common terms and some brief definitions associated with our CPA services. A legal term applied to a person or business that cannot repay outstanding debts. A bankruptcy petition is filed by the debtor or on behalf of creditors. Debtors assets are then measured and evaluated for repayment of all or a portion of outstanding debt. Businesses must keep a record of financial transactions including purchases, sales, payments and receipts by individuals and/or corporations. The process of this financial record keeping is known as bookkeeping, which can be conducted by an accounting service. The process by which a written document is prepared that describes in detail how business (new or existing) will go about achieving specific financial goals. This plan is usually based on aspects of a company such as marketing, finances and operations. An accounting service can provide a detailed examination of an individual’s or business’ incoming and outgoing cash movements over a set period of time. An analysis will begin with a starting balance and will account for all cash receipts and expenses over a certain period to provide accurate financial reports. The corporate structure of a company may require planned reorganization for a number of specific reasons. Companies that are preparing to merge or be sold resulting in a change in ownership may require reorganization. Additionally, companies filing for bankruptcy protection, or looking to take advantage of changing tax regulations may want to reorganize their corporate structure in terms of finances, management or operations. Reorganizations are completed under the legal supervision of a court. This process is meant to ensure a company becomes more effective and profitable while undergoing a change in ownership or the basic management structure in terms of personnel. This restructuring is based on a decision to either reassess a company’s financial goals or alter the scope or services of a part of the company. This process is supervised by a CEO or an outside legal or financial service. Once a company calculates its earnings and has deducted expenses such as the cost of goods sold and revenues, it must file a return based on the tax rate applied by the government that oversees the region in which the company operates. Corporate returns must be filed annually before a deadline set by the government. A family trust refers to the legal instrument by which assets can be passed on to future generations to the benefit of those related by blood, affinity or law. Trusts are legally established by qualified legal or financial individuals or institutions such as an attorney or a bank. Assets are transferred to these individuals or institutions to avoid future financial payments such as income tax. The preparation of financial statements refers to the process of putting together the relevant information for financial accounting. There are four statements that are included in financial statement preparation; balance sheet, income statement, statement of retained earnings and statement of cash flows. These four statements are prepared on behalf of companies or individuals by an accounting service. In terms of finances, this term refers to the process of establishing agreements about money. This can refer to the allocation of funds, trades or goods or services, compensation agreements, etc between two or more parties. In some cases, legal and financial oversight and advice is required during the negotiation process. When individuals, institutions or corporations enter into partnership with the intention of working together for mutual financial benefit, it is important to establish the structure of that partnership. This structure is based on what each party is expected to contribute and what they expect to gain in return. It is often best to solidify the established structure of a partnership in writing. Also referred to as a compensation strategy, this term refers to the way a company or organization manages the payment and benefits of its employees. It is usually a prepared document that acts as a guideline for managing how a company provides compensation, as well as incentives for existing personnel and the means by which a company uses its compensation packages to attract new employees. This is a form an individual is required to submit to a taxing government which reports income and calculates the amount of tax (if any) that is due for payment. Today, these forms can be filed using a mailed hard copy, or an electronically submitted form. A basic summary prepared for a company or organization that states the revenues, costs and expenses incurred over a specific length of time, such as a fiscal quarter or an entire year. This information is vital when it comes to providing relevant analysis of the financial status and viability of a business. After an individual passes away, they will likely have an established plan for how their property and financial assets will be distributed. This is known as estate planning. In most cases, the land and affixed property a person owns, known as real estate, is the biggest asset set for distribution upon a person’s death. The plan for how this large part of the estate will be transferred is set up in advance with the help of legal and financial professionals in order to mitigate financial losses of the recipients due to estate taxes. With the assistance of a financial or accounting expert, individuals can establish financial goals concerning future income after they have retired. These goals and the actions necessary to achieve them are set with the help of a qualified advisor by identifying income sources, estimating expenses and creating a plan to manage one’s assets over time. Successful businesses and organizations often look for new ideas and resources they can draw upon to achieve future goals. This is known as strategic awareness, and the implementation of these new strategies can involve a certain level of restructuring. Certain financial and account management experts specialize in helping companies develop their ability to think strategically for future success. The T3, T4 and T5 Tax forms are among the most common tax documents encountered by individuals at tax time. T3 is the statement for trust income indicating to the CRA how much income you receive from sources like mutual fund investments. The T4 refers to employment income, and the T5 refers to income from dividends received as a shareholder of a company. With assistance from an accounting firm like Genesa CPA, you can let knowledgeable professionals handle the preparation and submission of these tax forms. A tax plan helps individuals and organizations make a comprehensive financial plan according to their tax responsibilities. This plan helps ensure taxes are paid efficiently in a manner that reduces liability and maximizes the potential assets that are left over for things like retirement contributions. Sometimes referred to as a Succession Plan, the transfer of a business’ control and ownership to new generation of managers often requires a comprehensive plan of action created by the original owner with the help of an experienced financial planner or accounting service. Before this transfer occurs, a succession plan is established and implemented which covers all aspects of the business, such as employment futures, asset management and taxation.